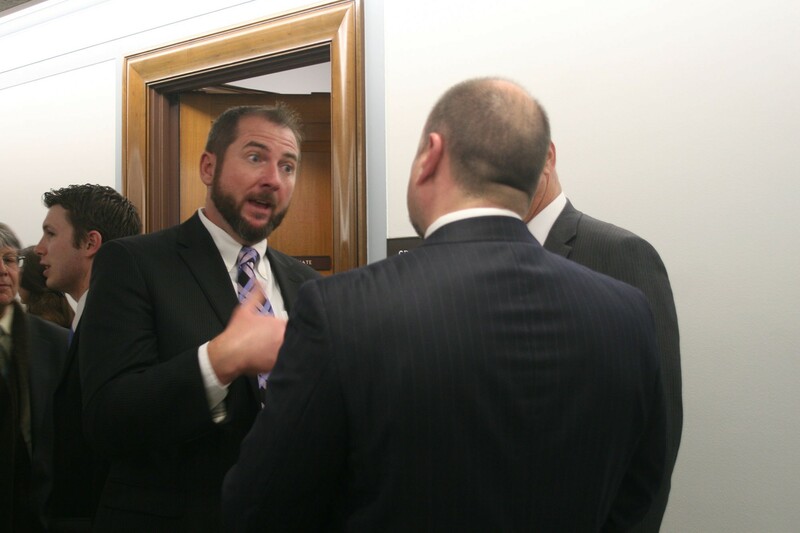 WASHINGTON – Two men who exposed the government’s failed Operation Fast and Furious gun-running probe in Phoenix said they hope a new Senate caucus can keep other whistleblowers from enduring the retaliation they faced. 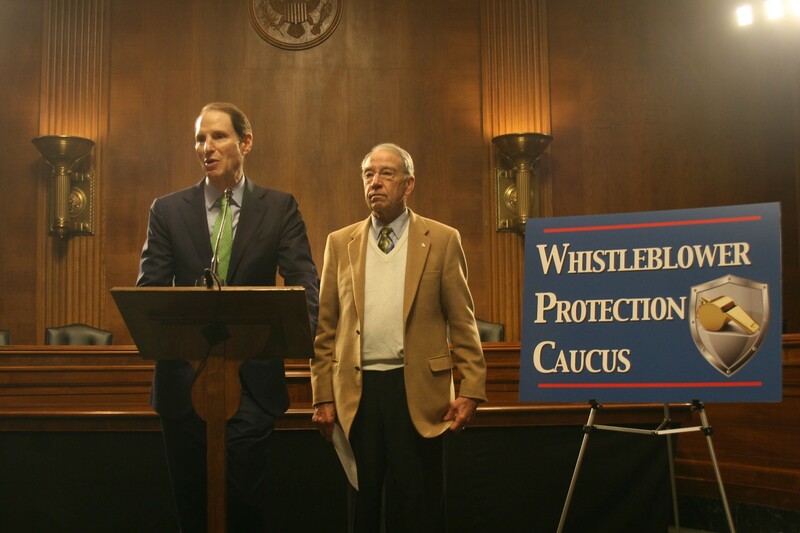 Pete Forcelli and John Dodson were in Washington on Wednesday as a bipartisan group of senators introduced the Senate Whistleblowers Protection Caucus. The two men said the caucus can better implement the laws already in place that are meant to protect whistleblowers but are too easily and too often ignored by federal agencies. Senators in the caucus said they hope to use it to better protect whistleblowers from internal consequences and, through those efforts, encourage would-be truth-tellers to come forward without the fear of agency retaliation. “At the end of the day, this is not about writing a law and saying your job is done. This is about the kind of ongoing oversight, the ongoing watch dog efforts the caucus really envisions,” said Sen. Ron Wyden, D-Ore.
Forcelli and Dodson were working for the Bureau of Alcohol, Tobacco, Firearms and Explosives in Arizona four years ago when they reported concerns about Operation Fast and Furious. Under the probe, prosecutors and ATF agents let guns “walk” – hoping that they could trace the weapons from the straw buyers in Arizona to the cartels and kingpins in Mexico and elsewhere that they believed were organizing the otherwise illegal gun deals. But of the roughly 2,000 weapons that walked in the investigation, many were never recovered and two were found at the scene of shootout that killed Border Patrol Agent Brian Terry near Rio Rico, Ariz., in December 2010. The investigation into the failed operation led to the resignation of several top ATF officials as well as a vote by the House holding Attorney General Eric Holder in contempt of Congress. Both Forcelli and Dodson said after they came forward they faced the retaliation the caucus aims to protect against. Dodson, who used to be involved in undercover operations, said that the fallout changed his life, career and relationships dramatically. “It’s hard for me now to even remember what my life was like, it’s like a dream that someone else had. A memory of how great things were and how much I loved my job, and I loved going to work and the friends that I had and the job that I thought we were doing,” he said. Forcelli said he did not face the same level of shunning and distancing from within the ATF that Dodson did, but he was still forced to move out of Arizona due to the persecution and false allegations he encountered from federal prosecutors in the state. “In many instances there are no penalties for retaliation or making allegations against whistleblowers and I think that’s something that needs to be addressed,” he said. He hopes the caucus can help fix that. 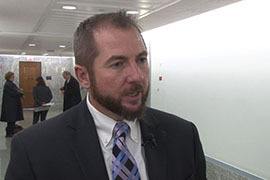 John Dodson, one of the former ATF workers who exposed the agency's botched ''Operation Fast and Furious,'' said he hopes the new Senate caucus can give other whistleblower protection he did not get. 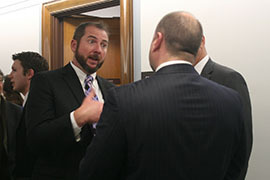 John Dodson, facing camera, speaks with Pete Forcelli, two whistleblowers who exposed a flawed gun-running operation. Both said they faced retaliation after coming forward. Sens. 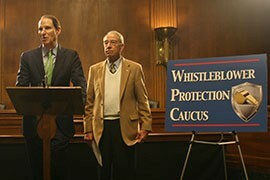 Ron Wyden, D-Ore., left, and Charles Grassley, R-Iowa, are two of 10 bipartisan members of the new caucus that aims to protect and encourage federal whistleblowers.